The footpaths in Manigod offer magnificent panoramas. Discover Manigod’s day outing footpaths or long distance hikes, ideal for the family or for those with a more challenging disposition. There are mountain lakes (Lake Charvin), you can wander through pine forests, green valleys or follow the river Fier. The valley is dominated by the Mt Charvin (2409m) and the Tournette (2351m). 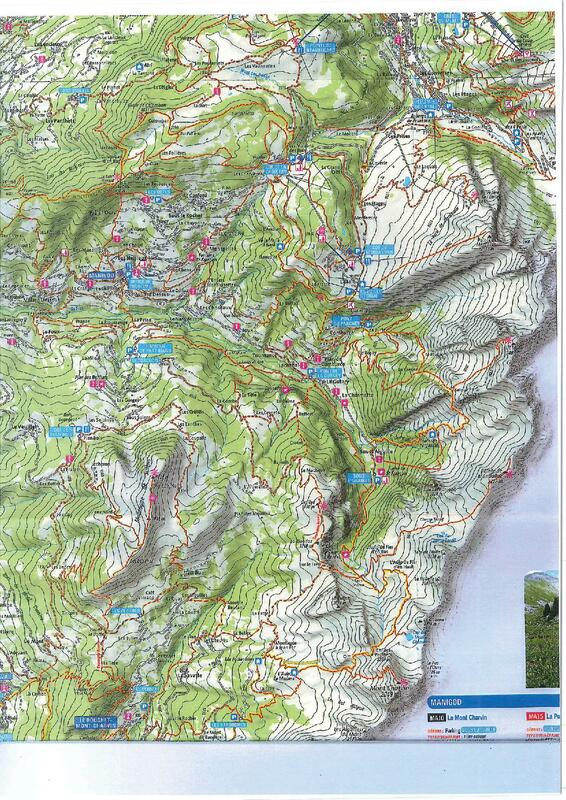 A map with walking trails ‘Tournette Bornes Aravis’ is on sale at the Tourist Office, with a scale of 1 : 30,000.